Bates Motor Scooter Service opened in March 1939 in Los Angeles. Bates’ shop became the warranty service provider for the local Powell Motor Scooter distributor, and he did all the work himself. Satisfied customers returned to his shop after the warranty period expired and he retained their business. In the fall of 1939, Bates built and installed a scooter windshield for a customer. The customer was so pleased that he showed it to the distributor. The distributor then ordered six windshields for immediate delivery. In the spring of 1940, Bates Motor Scooter Service outgrew its original location and relocated to a larger shop. Shortly thereafter, World War II broke out. When the shortage of parts and materials forced Bates to close the shop, he moved his equipment into the garage at his home. Bates continued to spend evenings and weekends producing windshields in his garage and added employees as orders increased. In 1945 he printed his first catalog flyer, which displayed five different windshields for motorcycles and motor scooters. In 1946 he offered 13 windshields. As his business increased he moved out of his garage and into a building on Alameda St. in Los Angeles. In 1947 Bates introduced a line of accessories for the Indian motorcycle that included nine windshields and a luggage rack. In 1948 he created an illustrated flyer featuring Cushman scooter accessories: windshields, a tandem seat, a new style of rear bumper, a front bumper, buddy grips and seat covers. In October of that year, he printed his first complete catalog: 14 pages of accessories for Wizard Bikes, Harley-Davidson, Indian and English motorcycles, Cushman scooters, Salsbury scooters and Moto Scoot scooters. 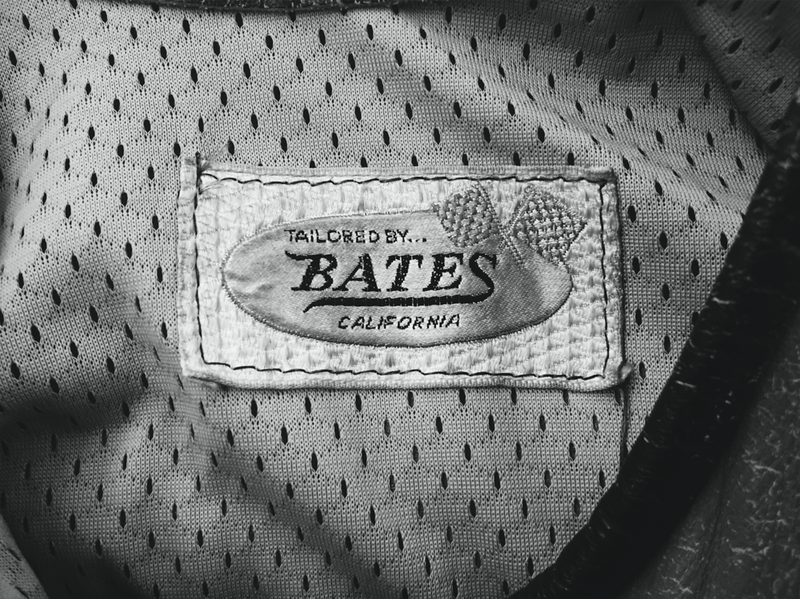 The catalog also displayed Bates’ own motorcycle saddle, pillion seats, luggage racks, saddle covers and more.